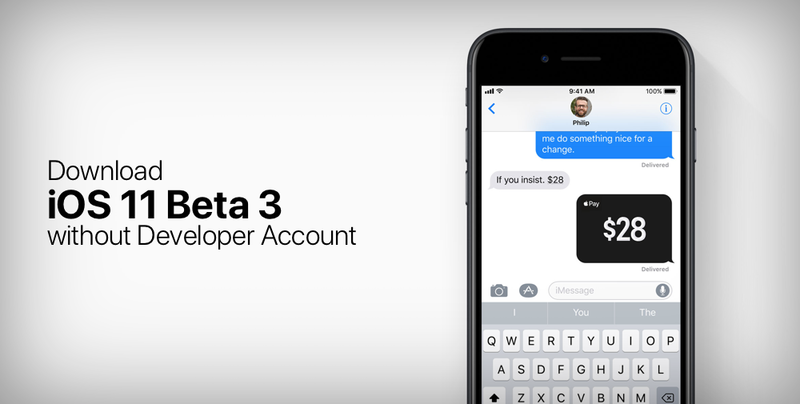 You can still download the developer beta iOS 11 without an Apple developer account, but it’s not recommended since the iOS 11 Public Beta is available for free. Usually, users believe that developers get the most from a piece of software when they download it directly from the Apple developer portal. Quite honestly, that’s not the case at all. This also means that going through the trouble of downloading the iOS 11 Developer Beta 3 update using a sourced configuration profile is not recommended in any case. Why? Because Apple offers the iOS 11 Beta to download for free already using its Beta Software Program. To learn more about it, head over to this link: Download and Install iOS 11 Public Beta on iPhone, iPad Right Now. The best part about being tied to Apple’s Beta Software Program is that you end up receiving future iOS pre-release updates too. So basically, you’ll be ahead of anyone else when it comes to trying out new software. Of course, you have the option of downgrading or opting out of the beta program whenever you like. And it’s absolutely free. But there’s one downside to the entire thing: you don’t get to play around with an iOS 11 Beta image file. Everything is delivered to you over the air. Still, that’s not so different from the route which involves downloading a sourced update configuration profile onto your device then set yourself to receive iOS 11 Developer Beta updates in the future. So, the final verdict is this: yes, you can download iOS 11 Developer Beta 3 without an Apple Developer Program account, but it’s absolutely unnecessary since iOS 11 Public Beta is already available for free.